These days website security is a major concern — especially for your site’s visitors. In the first half of 2016, malware infections were down 47 percent, in part, because internet surfers are paying more attention to who they interact with online and what they download on their phones and computers. If you want to compete in the digital marketplace, you have to prove to visitors that you are trustworthy. Establishing an outstanding security reputation means that you’ll capture more leads and, eventually, revenue. So how do you present an image that builds confidence? Here are a few simple ways that you can legitimize your website to make sure that everyone who clicks on it gets the right impression. One thing you can do that doesn’t take much effort is to add trust badges to your site. 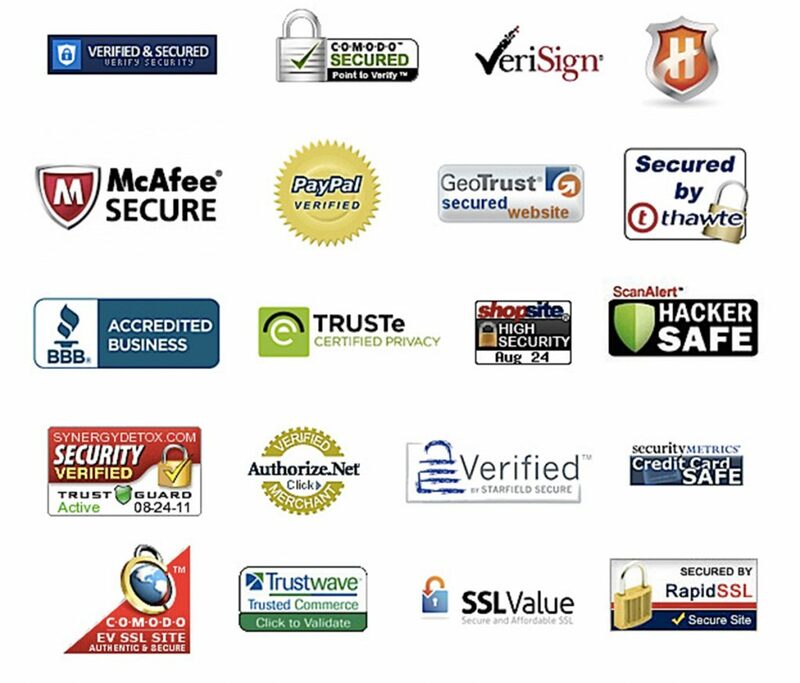 These are symbols, like PayPal’s “verified” icon, that show that your website is secure. According to MonetizePros, a lead-generation consulting firm, “as many as 61 percent of participants said they had decided not to purchase a product because it was missing a trust seal.” When it comes to web hosting, platform, and security decisions, these trust badges show that your company partners only with credible industry experts. A lot of people trust testimonials or social proof, and some brands are missing opportunities to capitalize on their good reputation by not displaying them prominently. When WikiJobs moved its testimonials from the bottom of the page to the top, it saw a dramatic 34 percent increase in conversion rates, based on A/B testing results. Whether you post new articles every day, twice a week, or bimonthly, stick to a predictable schedule. That way site visitors will see evidence that you are an active business and that others are reading your content (based on your social likes, shares, and comments). First impressions do count, so avoid cluttering your pages with too many sponsored ads and flashy elements. Use high-quality graphics and images and make sure that your page layout and typography are appropriate for the site’s purpose. If it looks like a kid’s arts and crafts project, you aren’t going to earn the trust of anyone who lands on your website. Include your address and phone number on your contact page, post photos with employee profiles on your about page, and display Better Business Bureau and local Chamber of Commerce badges on your website. Even small errors, such as a misspelled word or an image that doesn’t load properly will rapidly diminish your credibility, so be sure to double-check all material on your website. Broken links not only frustrate site visitors, but they make people wonder if you are maintaining your web pages. To check for broken links, just drop your URL into one of the free broken-link checkers available online or use a plugin recommended by your website platform. Sometimes it’s not enough to just display trust seals — don’t be shy about letting your site visitors know that you’ve taken a lot of effort to earn their trust. Post content about special industry awards or local recognition, display your credentials prominently, or recognize employees on social media for community service. Do you belong to a respected organization in your field? Highlight that relationship on your website. Part of legitimizing your website is making it user friendly. Business to Community (B2C) recommends that you only include the “most important” (or the most heavily trafficked) pages in your permanent navigation bar. Move the less visited links to dropdown menus. If you have trouble finding time to create newsworthy content, consider inviting guest bloggers — ones who are well-respected by your followers, of course — to pen posts for your blog. To out-perform your competition, it is critically important to legitimize your website. These tips will help strengthen your reputation as a trustworthy business from the moment a potential customer lands on your site.